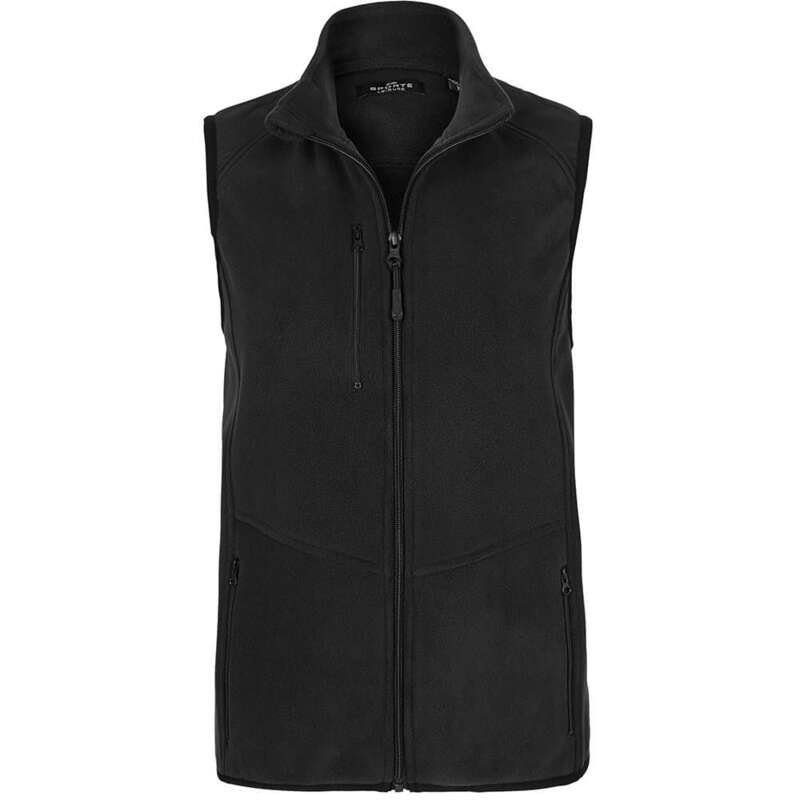 New Micro Bonville fleece Panelled Vest. Contrast fabric panels at shoulder. Full zip opening. Top zip protector. 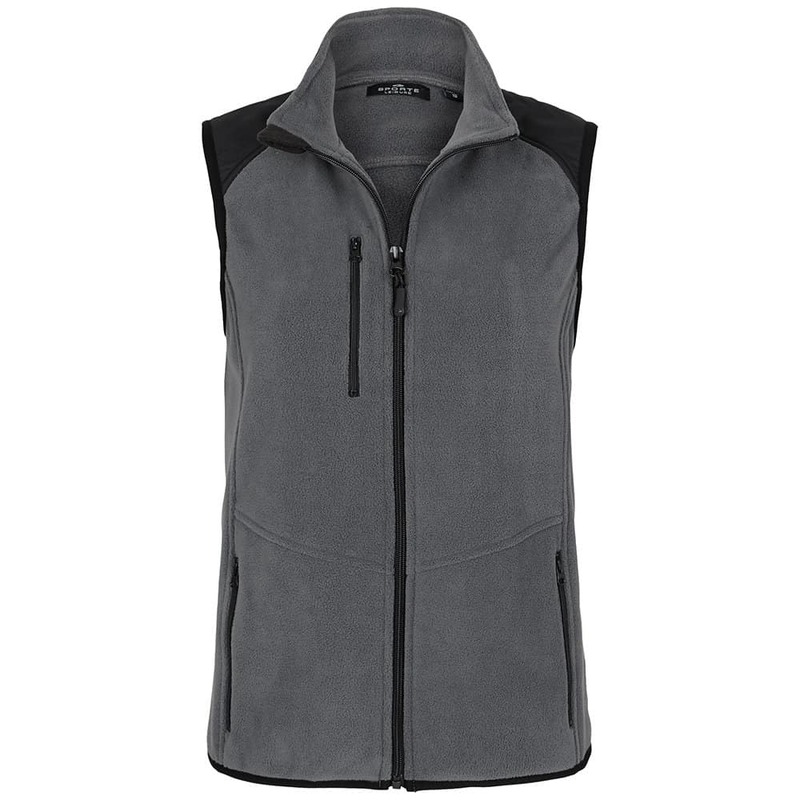 Right zippered chest pocket. 2 front zippered hand warmer pockets. Embossed Sporte device zip pullers.